It is not unfathomable to feel the pang of disappointment creep on an athlete whenever the gold spot is within their reach. Rather, the thirst to mollify that want to be the best is much more discernible than the defeat. 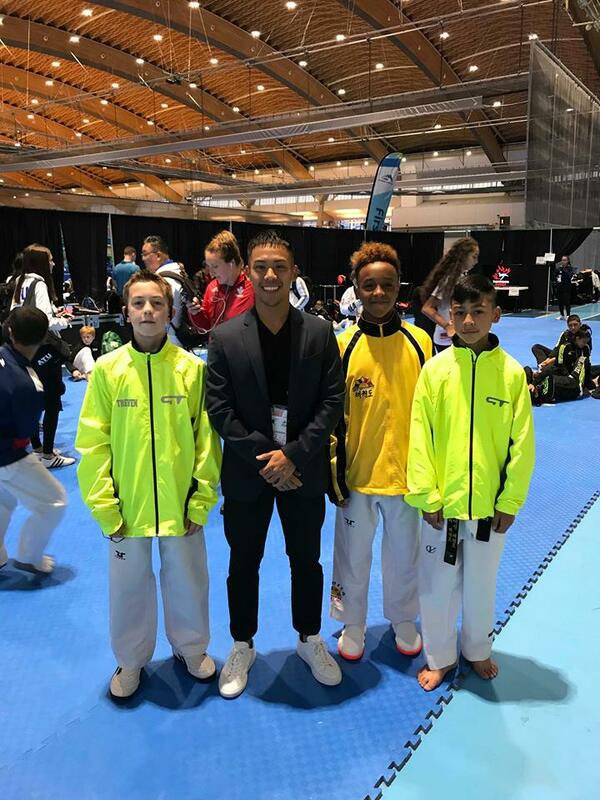 Angel Garcia competed in World Class Cadet Male Fly division, while Treven was in World Class Cadet Male Bantam division at this past weekend’s Canada Open held in Vancouver. Master Chino Cruz, the ever present coach, was at the sidelines prepping and motivating them to fight with all their heart. Like many of their fellow competitors, the cadet boys were there to win. Their hunger to prove to themselves and their school that all their hard work was for naught, was always the one cadence in their heads. They ran through all the play by plays Master Chino sets for them during practice. They recalled all the mistakes needed to be avoided to out pace others. If those were not enough, internal prayers to Lady Luck was added to make sure they covered all their bases. Unfortunately for Treven, his journey did an abrupt detour. As Master Chino summarized, “Treven lost a super close match last second 18-17 again. a guy as tall as me at 41kg. He caught up from a 6 point deficit the last round, but fell a little short in the end.” It wasn’t his time, and the purpose now is for him to get back to the drawing board. The return back home will be hard, but Treven knows that the journey will keep begin anew with a new sense of vigor. Angel’s trip to the Finals looked a little different than his comrade. Master Chino was in constant communication with the rest of Generation TKD via Facebook Messenger. Things started out the gate like business as usual, “Angel wins 9-1 against quest,” Master Chino quips. The follow up from Master Chino created an uptick, “Angel wins in OT against TNT, really good fighter. Off to semis! Coming home with a medal.” With another enthusiastic alert, Master Chino texted, “Angel just beat Peak in the semis 10-7, off to the finals baby!” The GT show was out in full throttle. The championship was within grasp, but with Master Chino’s last update, “Fell short in the finals against a really flexible and unorthodox fighter. 2nd place at the Canada Open!” For his first time fray into an international stage outside US Open, Angel did well. He did what he thought he couldn’t do a year ago. He really did all of Generation TKD proud.